Steve and I were one day into our trip to Spain in March of this year, enjoying coffee in our Barcelona apartment, when we received the exciting news. 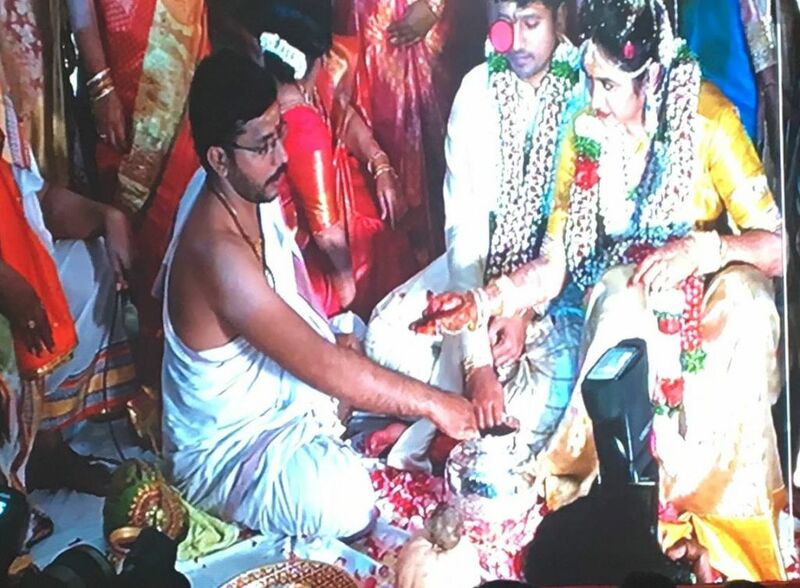 This month as we celebrated with Meghana and now-husband Sai (and 3,000 of their guests! 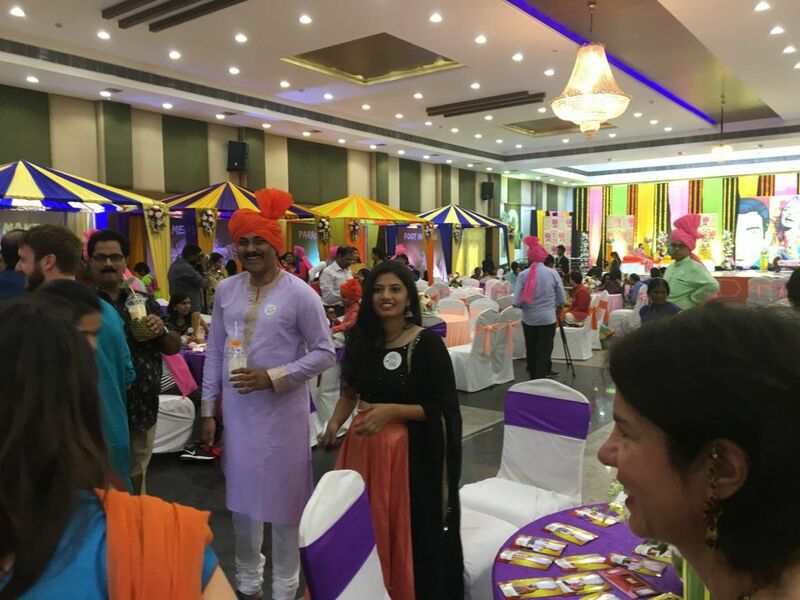 ), I was struck by how, regardless of the continent you are on, many best practices are truly universal when it comes to creating memorable and successful events. 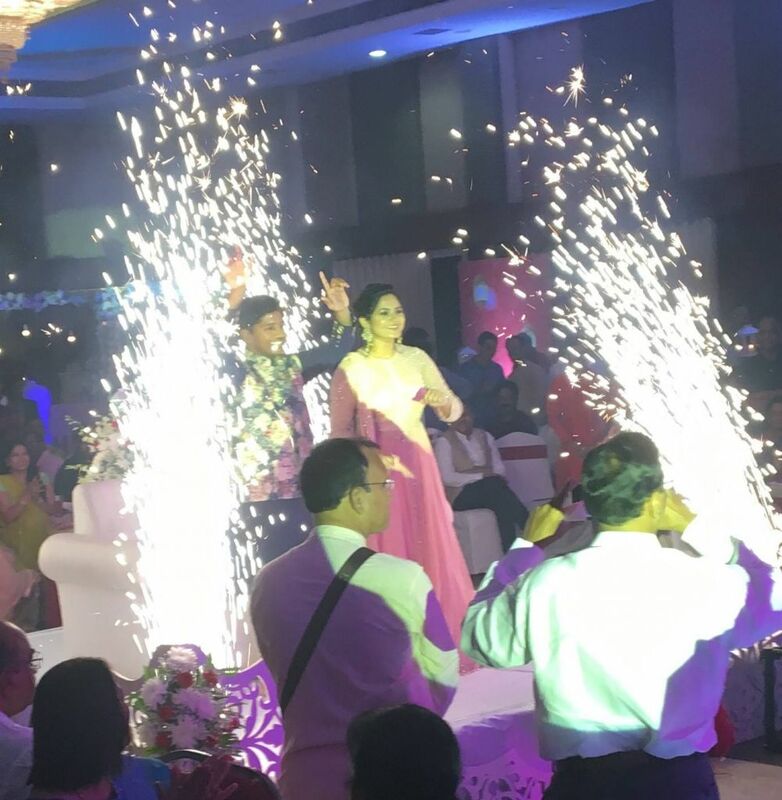 So much of what I experienced during the three days of Indian wedding festivities reminded me of elements of events back home. 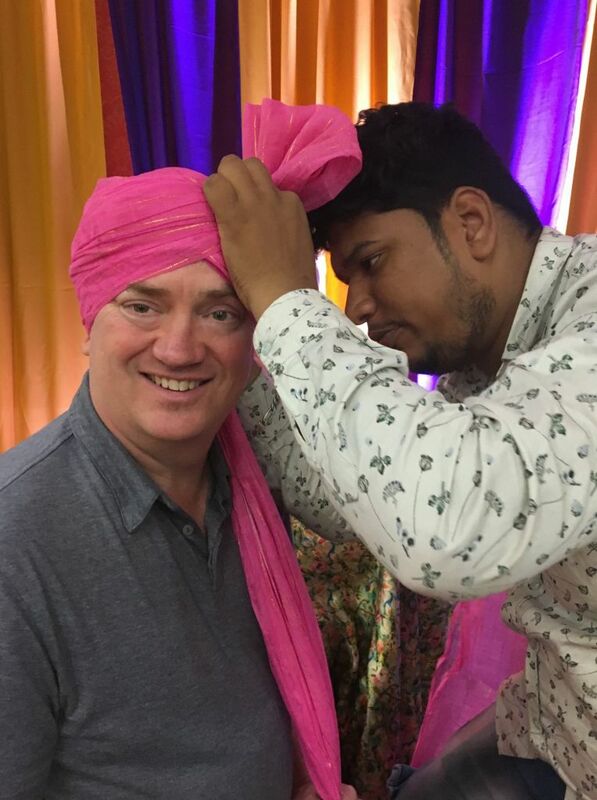 I also realized there is much to learn from an Indian wedding in maximizing the spirit of celebration and hospitality at any event! 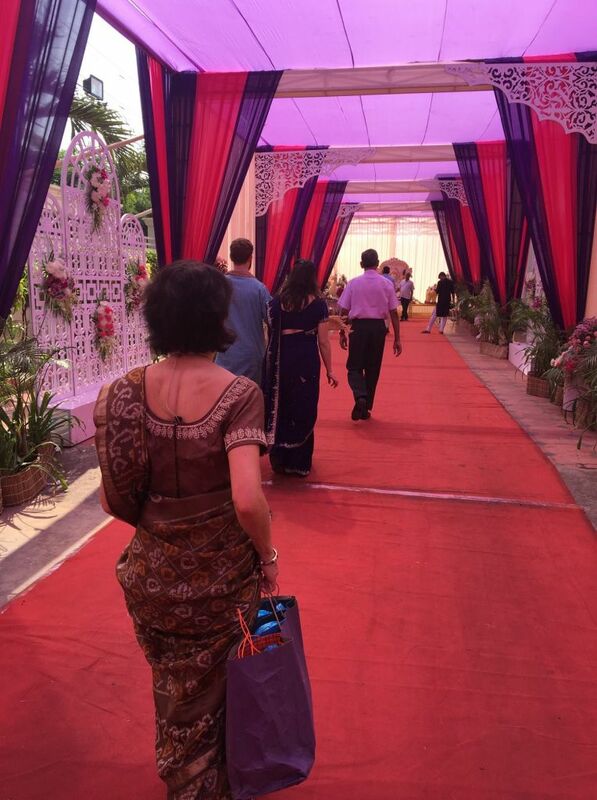 Regardless of where you are in the world, a red carpet makes people feel special. Celebrate like there is no tomorrow! 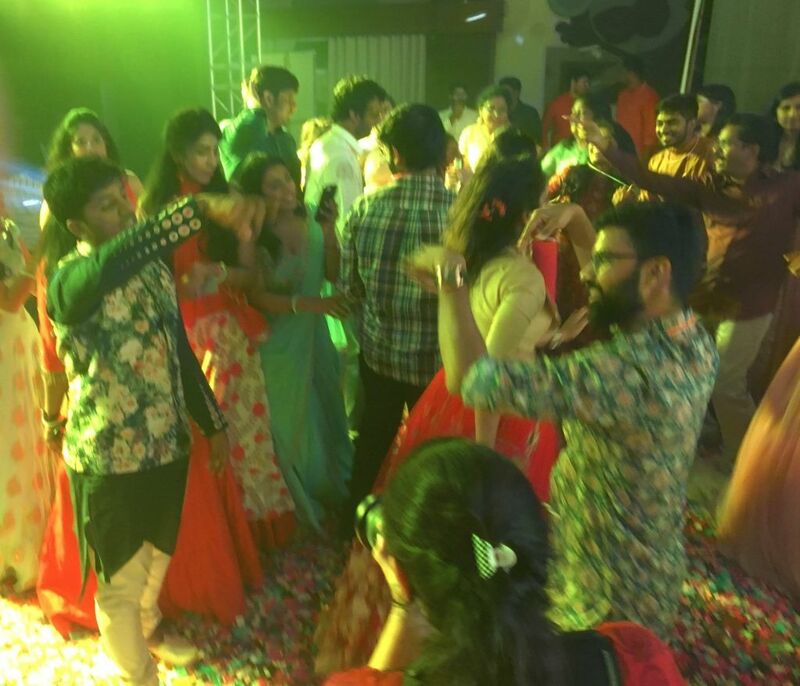 What I loved most about being part of an Indian wedding was the passionate embracing of celebration in all event elements including the ceremonies and rituals, music, dancing, bright colors, food and hospitality. Bring in the experts! 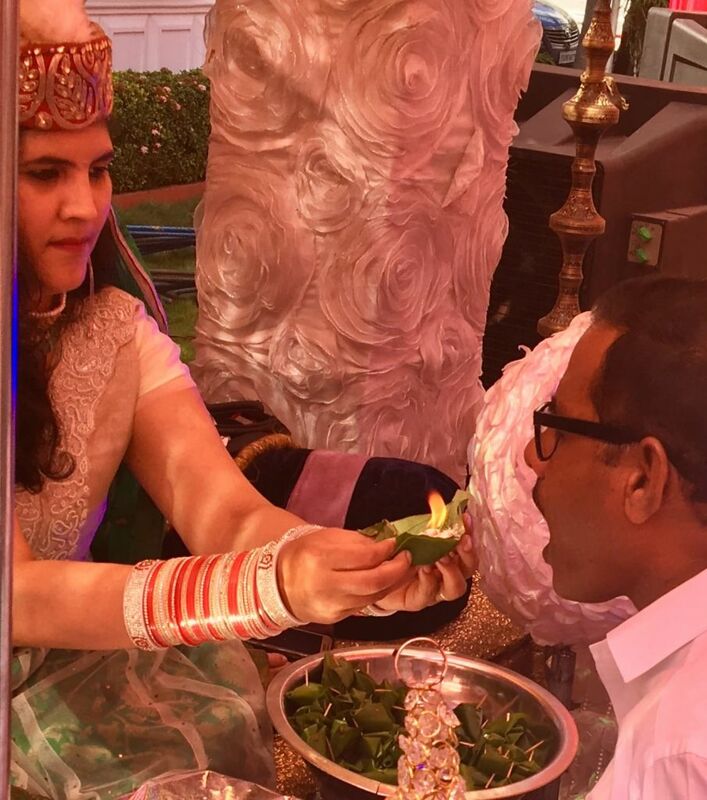 In India, hiring a wedding planner for these multi-day affairs is typical. 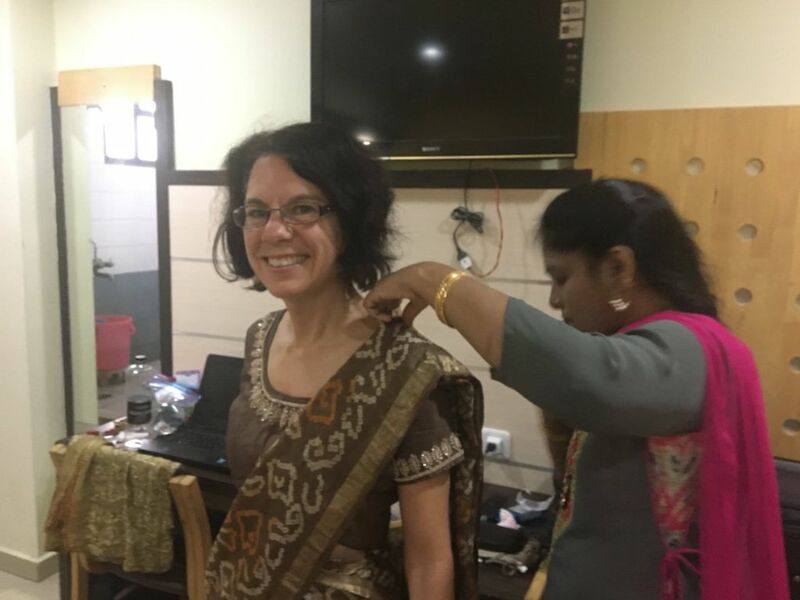 For me as a guest wearing traditional Indian attire for the first time, hiring a sari professional was a no-brainer. Everyone is a kid at heart. 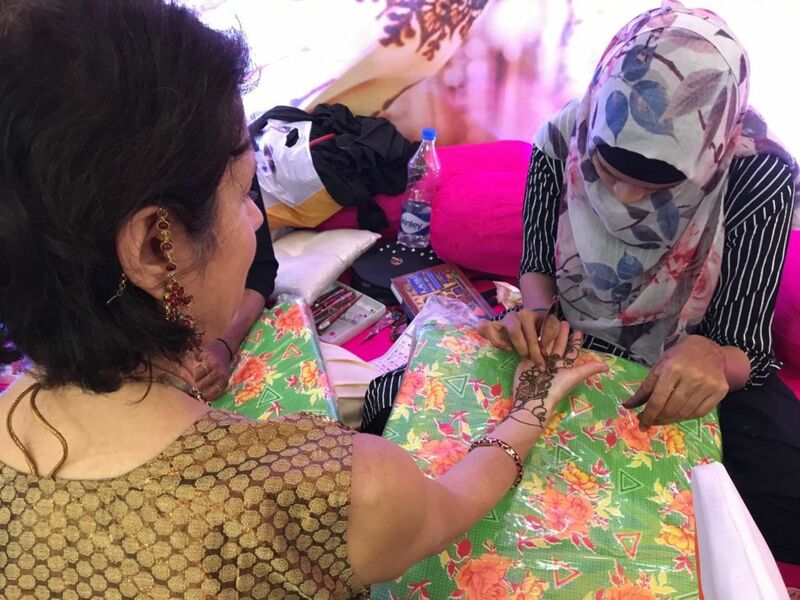 Henna for adults is as popular as face painting for kids! 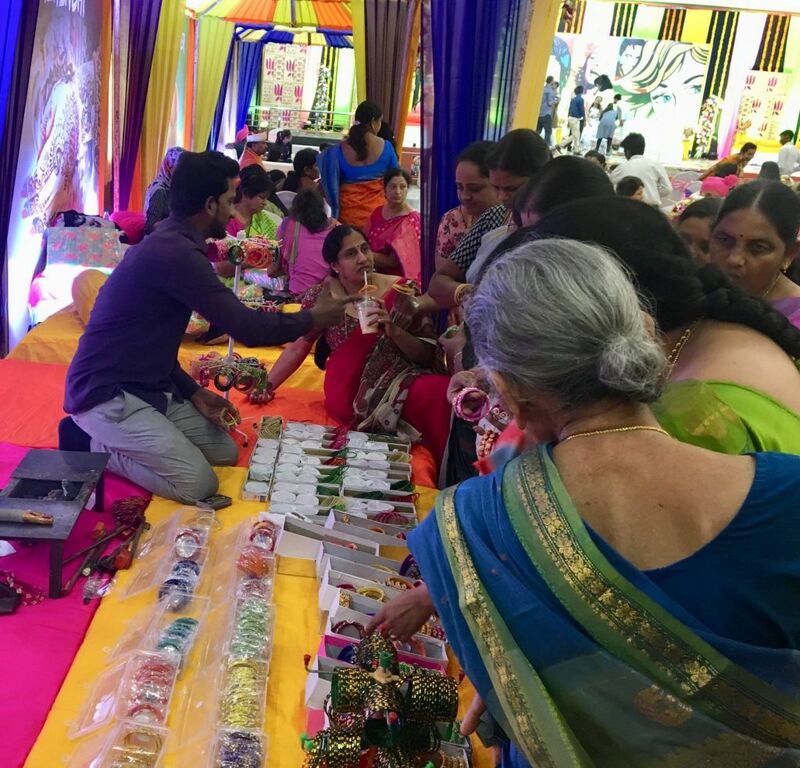 There was a long line for this activity at the Mehndi, the function the day before the actual wedding. Photo opportunities promote memories! 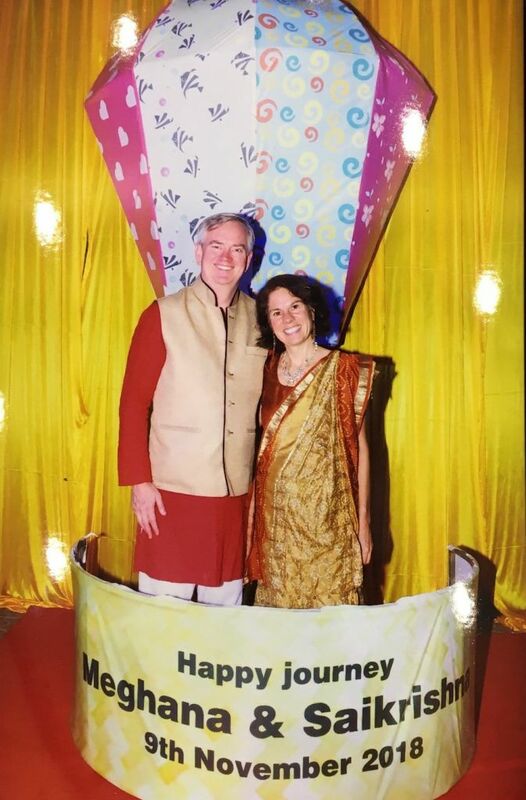 An engaging photo opportunity also ensures more social media activity for your event. Create magic with a transformed event space. The events the two days before the actual wedding were held at the same function hall. Our jaws dropped when we walked into the space the second day to see how the space had been transformed. Document and project. Throughout the multiple days of events, I was impressed with how thoroughly the event was being documented by photographers and videographers. 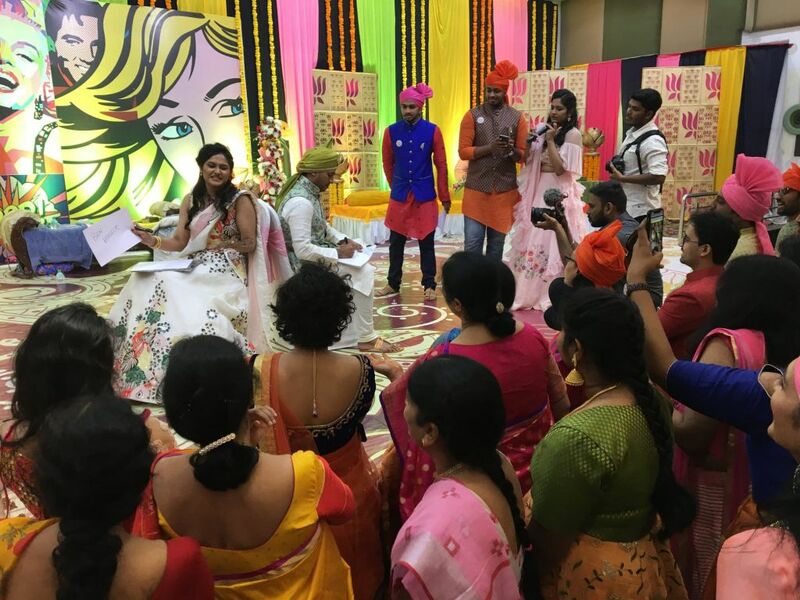 And, on the wedding day when close to 3,000 people were expected to attend, the wedding ceremonies were captured on a large screen for all to see. Delight your guests with the unexpected. Throughout the three days of festivities, delightful surprises included outdoor fireworks and indoor sparkler effects, a free bangle (bracelet) station, custom turban station, and a fire paan experience involving a traditional street food item prepared on a betel leaf and set on fire before being popped into the guest’s mouth (we don’t advocate this last activity from a United States fire code and safety perspective, but it was fun to watch!). 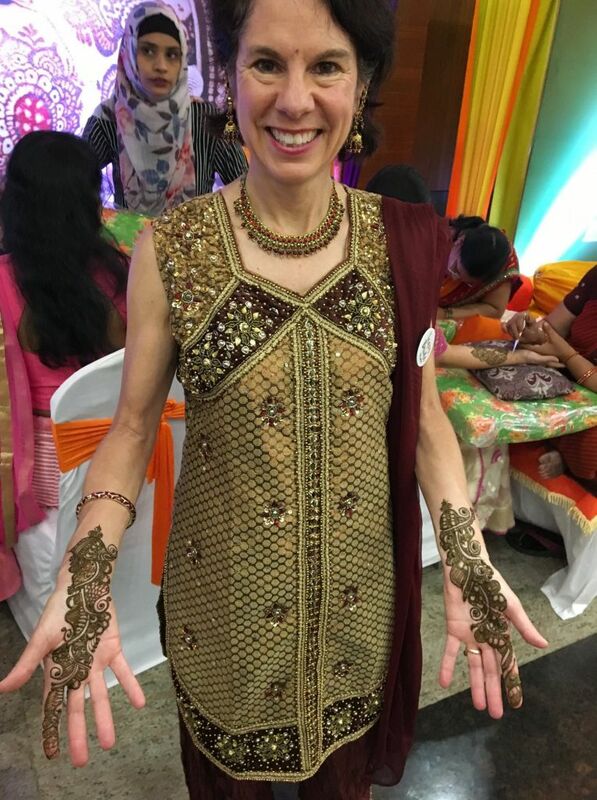 There is a Hindu saying that summed up our wedding experience, “Guest is God.” In many stories, Hindu gods are encountered in the form of unknown visitors to one’s door, and for that reason it is advisable to treat every guest as if they were divine. We can learn from that by being thankful for every guest who has chosen to spend their time and resources helping make our causes successful. The Ann Plans team is thankful for you! Wishing you a wonderful and safe holiday. « Looking for Something New?